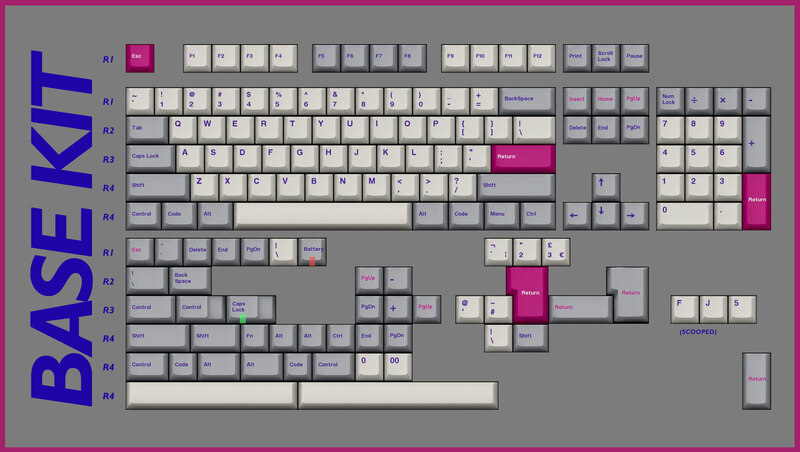 [IC] GMK DMG - A Gameboy inspired keyset GROUP BUY IS LIVE! ASIA and EU proxies up very soon. Thanks for playing! 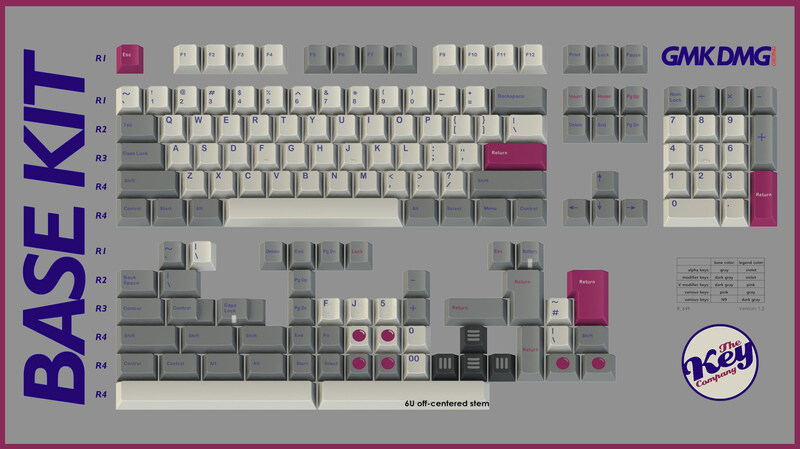 The base kit hopefully manages that difficult balance of compatibility and affordability, but I welcome community feedback as I'm no expert in this regard, especially when it comes to the slightly more esoteric layouts (I only really use 65% and TKL). 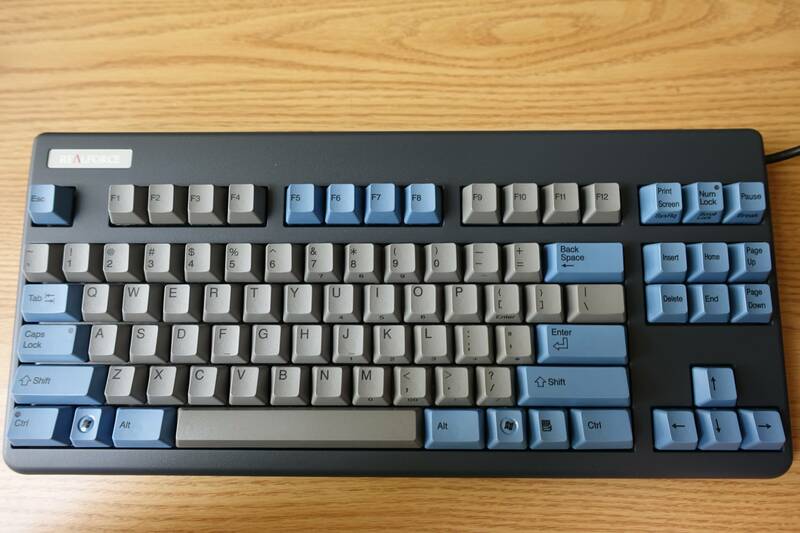 I'd personally really like a Colevrak kit as I'm a Colemak user so speak up if you're interested in that. If enough people want something, I'm sure we can accomodate. And if people like the set, once we've hammered out the details we'll get some nice renders done to have a good stare at instead of my shonky photoshopped kle things. 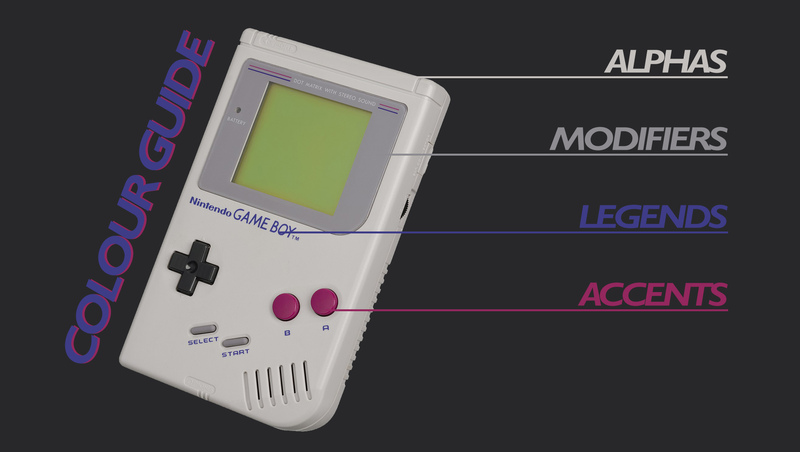 UPDATED 4th Sept '18 - I've been in contact with Uniqey/GMK and they've confirmed that I can just send them a Gameboy for them to match the colours to. This will ensure the best colour accuracy and was my biggest hope from the start so I'm really happy they're able to do it and are up for it. The representative I spoke with seemed genuinely enthusiastic about it and thinks it's gonna be a fun project. All I have to do now is find the closest thing to a NIB Gameboy I can, (mine is good but I think probably very slightly yellowed), without spending insane amounts on ebay. Fresh lookin' Gameboy acquired! 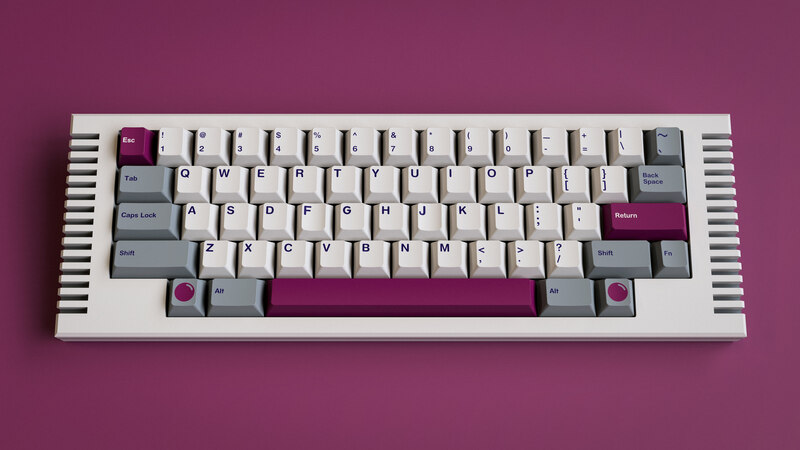 Now then, I've never run a GB and have no burning desire to handle the logistics of one, so I'm very pleased to say that side of things will be left in the more than capable hands of Jason at TKC https://thekey.company/, runner of GMK Terminal, GMK Led Zep, DSA Drifter, the TKC1800, etc. Rest assured, he knows his stuff. There'll be the usual proxies to make things better for international buyers. I'll be straight with you. I've never bought any novelty packs. But I have a few ideas, and I welcome the community to get involved here as well. If we can come up with something special I'm sure we can offer it up in the GB. I'd really like to include a translucent green cap, in the Gameboy screen colour, similar to how GMK Camping included the translucent fire cap. This could be blank or include a printed legend, but I don't know what of. I've also included a 'battery' windowed 1u key in the base kit. This would have to be pad printed and would be dependant on whether the word will even fit on a 1u key. Well, there's no shortage of GMK GBs running at any given time so there's no use waiting for a gap. The Key Company have some other things in the pipeline so this set won't run for a while, but if people are into it then hopefully the good word can spread and by the time the GB launches there'll be huge swathes of you all ready to pounce and help turn these ideas into beautiful, cold, hard, doubleshot ABS plastic. PS. Thanks to Plex for the original keyboard render and Xondat for use of the 280 (even though I didn't ask permission). 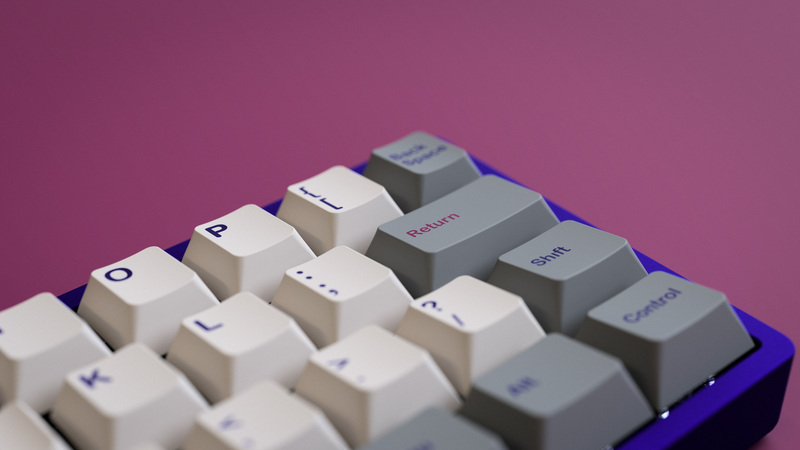 EDIT: Added a 40s kit and changed the spacebar kit to just include accent colour mini-spacebars. EDIT 2: Added colour guide and sig. I dig this theme man. I think this will be well received. GLWIC + GB ! After seeing your renders a while back, I'm glad to see this is hitting IC! GL and will hop on this when it happens. Hot damn this is incredible! Thanks for the support guys. Just spoke to Jason and we'll defo be offering up a 40s kit. Will mock it up asap. I dig this. I dig the nostalgia. I love the theme, but I think the one thing missing is some representation of that good ol' green screen. Couldn't agree more. But this will most likely be a launch day buy for me. That color combo is perfect. Don't have to think twice about this, I'm in. Maybe “N” and “I”, like a low key nod to Nintendo? Or “G” and “Y”, for Gunpei Yokoi? In as well. Such a unique theme/idea/colorway. Nice... keeping an eye out. Would love to see some text modifier, such as 'select' and 'start' along with the the magenta color arrow keys. 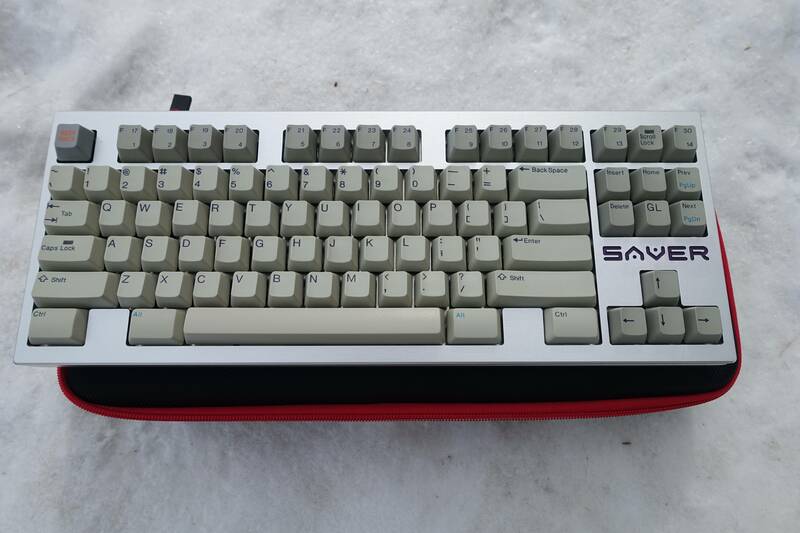 This is completely extra, but I love the IC picture based off the original box and would think it would be neat to have a deskpad with that kind of design or aesthetic. My nostalgia is wrapped up with the gameboy pocket, but this looks fantastic! Hoping to see some really cool novelties! It would be amazing if you offered a 40s kit and icon mods. I'm not a Gameboy guy but this colorway is just perfect to me. Battery key is brilliant. All over this. I don’t know know sherryton’s timeframe but he tends to do things like announce sets when in stock to buy. For what it's worth I like the darker colors of your set + matching text on the mods better than the originative set. Not feeling SNES CO at all. Im so in. This looks really good! Look forward to more news on this!! Interested at least, and would buy for sure with good novelties. Only thing with the base set is that I would prefer the R3 "Ctrl" to be "Control" to be consistent with other keys. 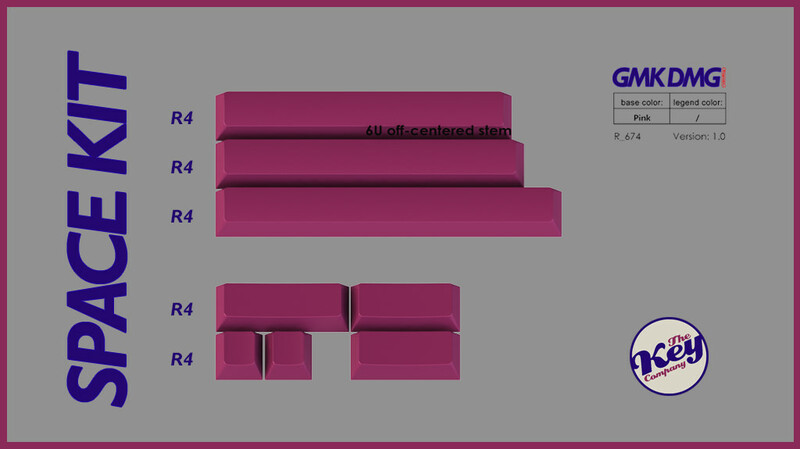 Also, a nice touch to the newer GMK sets is the R4 Caps Lock. I don't think it is necessary (even to me), but I think it should be considered if it does push up the price too much. I've added a Pocket Kit for 40s. This matches the GMK Terminal 40s kit. I'm not sure how many of these text mod moulds would need to be made so perhaps it may be prohibitively expensive, but we'll see. 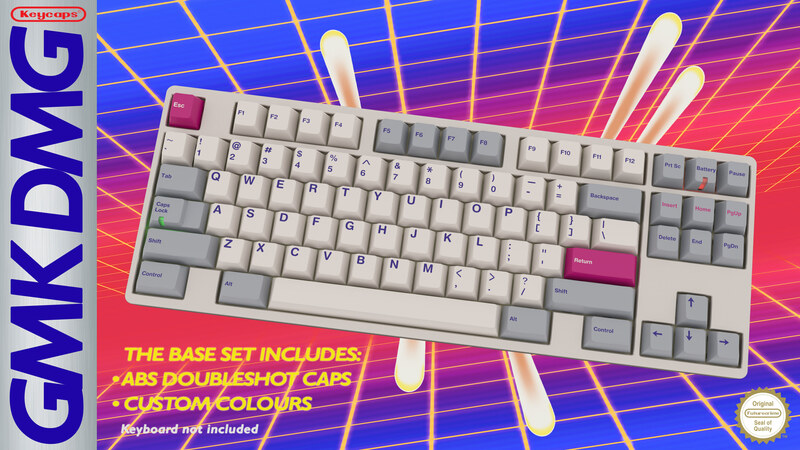 I've also changed up the spacebar kit to only include accent colour spacebars, which will bring the price down for that set. I'll respond to some more of your comments tomorrow. Had a long day at work and am off to sleep now. Awesome set. I really like the retro feel of the colorway. This is just adorable. 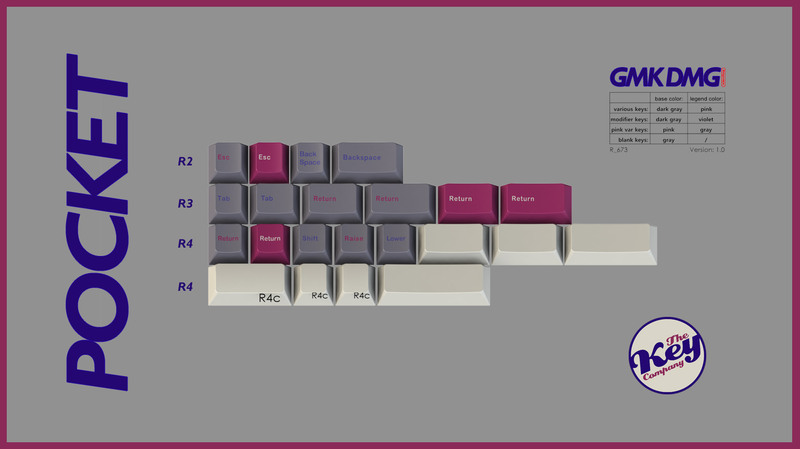 I'm not really into the retro GMK aesthetic, but I really like this! Looking forward to seeing what you come up with for novelties (something subtle like Start and Select keys would be to my taste). The battery key is already basically an awesome subtle novelty and I'm glad it's in the base set! 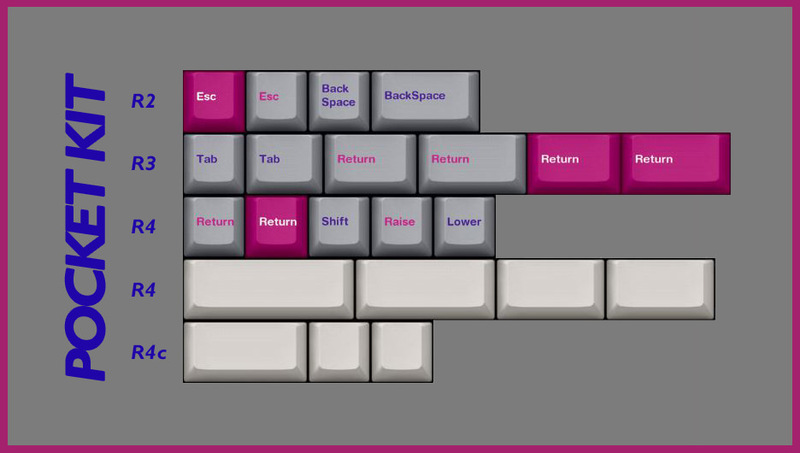 Also if I use this set for an ortho board I'd probably want Dvorak support -- any word on a colevrak kit? Awesome keyset in general, you can count me in if you change your mind about the "Control"
EU Proxy and here we go baby. Good base set with compatibility. Couldn't this be enjoyPBT dyesubs though? Mostly dark legends on a light background. Also, I prefer "Control" over "Ctrl" with this set, it's in keeping with the word only modifiers and retro aesthetic. I'm in for one but I strongly agree with this being on enjoy PBT. Looks amazing, I would definitely be in on this one. OK, I have time to answer a few queries tonight! There'll certainly be an EU proxy. That side of things is down to Jason at TKC. Yeah I've tried a bunch of ways to get it in but the set gets very busy. I'm really gunning for the translucent green cap at least, I reckon that'd look really nice. If the set gains traction I'd also be up for doing a matching deskmat, it's all the rage right now innit. I appreciate the desire for a Super key, but I think Code is a decent OS agnostic key. Catering to Mac, Windows and Linux users seperately with all the different size variations would unfortunately increase the cost significantly. Hopefully the Pocket Kit should give you enough to cover the Minivan. I hope to one day see it immortalised on the table. Yeah I'm aware of the SNES set. It's been in the wings for ages. I think this set is different enough to co-exist, and personally I prefer it (quelle surprise). Nice catch. I've fixed it now. What would the R4 Caps Lock be used for? Do people swap it out with Control? I'd love to do a Colevrak kit but they only really hit moq with hugely succesful sets on Massdrop. Hopefully we can offer it anyway, even if the chances of it hitting are super slim. 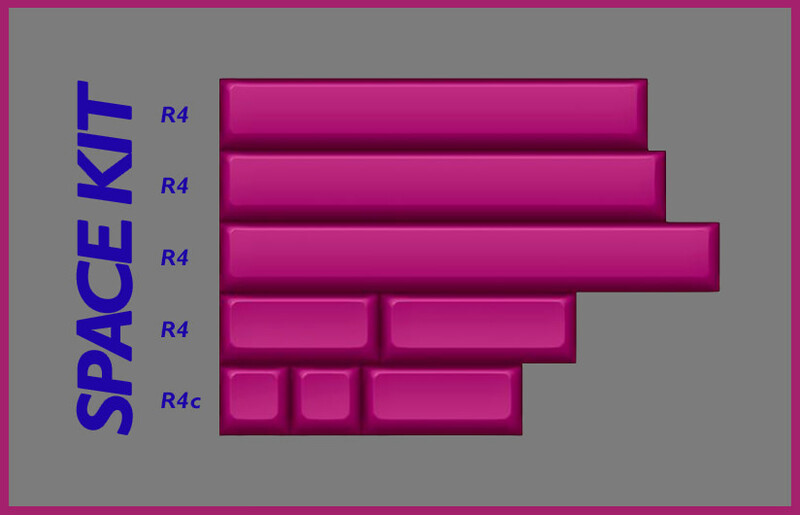 Are you only concerned about the R4 Control keys, or the R3 as well? I personally prefer the full word and think it fits the set better but if there's a general opinion that Ctrl is better then people can speak up and I'll go with the vote. Personally liked the spacebar kit more when it included both colors. And no 2U in the spacebar kit if I'm reading right. Make this happen! Nostalgia is in full effect.